BlockPay has been marked as 'inactive'. This could be for a number of reasons, you can find out more about inactive coins in our F.A.Q. (BLOCKPAY) BlockPay has been in the crypto world since 5th September, 2016 and works without being controlled by any monetary authorities. You cannot mine the virtual currency, so in order to acquire BLOCKPAY, you are able to purchase from a currency exchange. To stay updated with BlockPay, they can be found on Facebook. We don't have any exchanges listed for BlockPay yet, check back soon! We don't have any wallets listed for BlockPay yet, check back soon! We don't have any debit cards listed for BlockPay (BLOCKPAY) yet, check back soon! 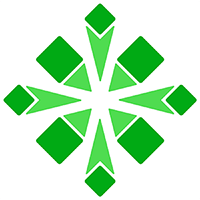 We don't have any price charts listed for BlockPay yet, check back soon!